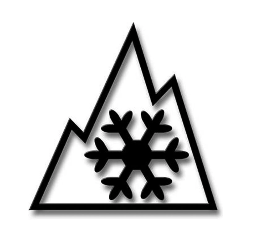 Only tires which have the Three Peak Mountain Snowflake symbol (a snowflake inside a mountain) have been tested for cold weather use in ice and snow conditions. They meet or exceed industry-established performance requirements for cold weather ice and snow conditions. The rubber compounds used in the latest generations of winter tires remain soft and maintain their elasticity even at extremely cold temperatures surpassing -30 degrees. You would expect that the markings M+S or Mud and Snow on a tire would mean that it was designed for proper winter traction in all conditions. You might be surprised to find that this is not true. It says nothing about the tire’s rubber compound and its ability to stick to compact snow and ice. 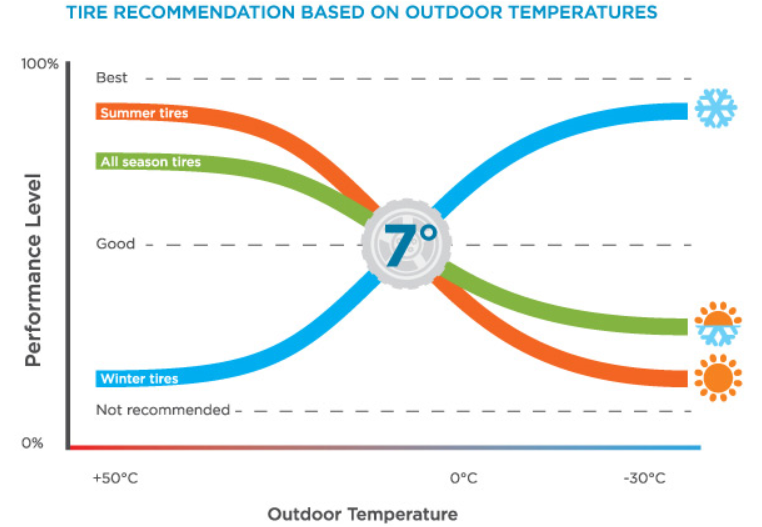 In fact, at temperatures below 7C a M+S tire can be expected to perform just like a summer tire in these conditions. Think of the M+S tire as a hockey puck, the colder it gets, the better it slides on ice. Don’t wait until you hit that first patch of black ice or see an early winter fender-bender to install your winter tires. As soon as the temperature dips below 7°C, you should consider changing to winter tires in order to benefit from the increased traction, braking and handling they provide. Today’s winter tires are not only designed to perform in snowy conditions, but perform better on cold, dry pavement too. Also remember, once you can see your breath, it’s past the time to put on those winter tires.